We are so lucky to live where we do, in Dinas Powys, just outside Cardiff. We are never far from the countryside or the sea and a quick car ride takes us away, both physically and mentally from the stresses of the week. 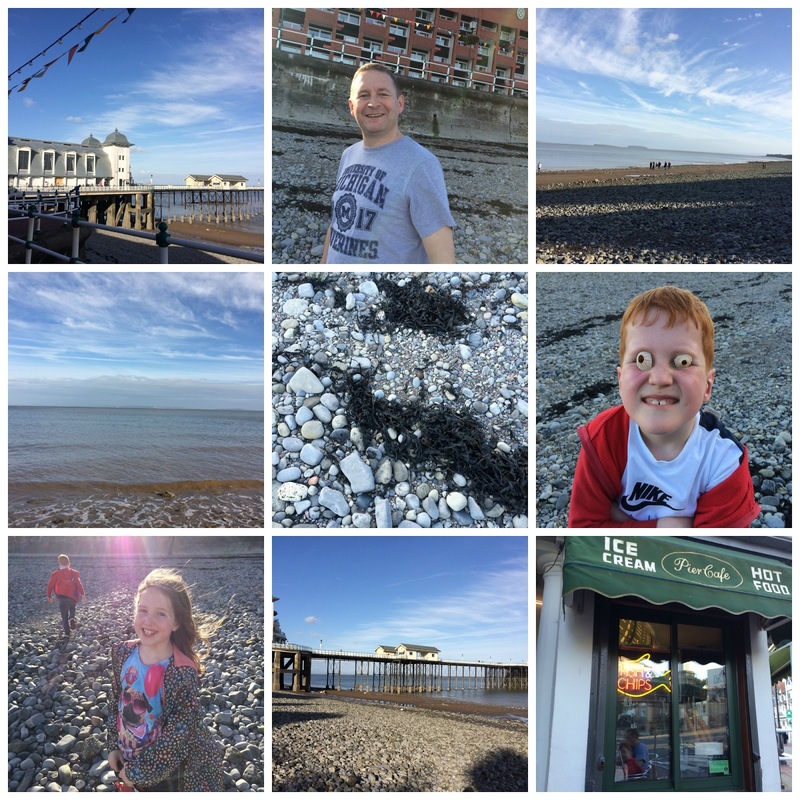 Yesterday it was such a beautiful evening that, rather than waste the entire day on ballet and shopping, we went to Penarth for a wander on the beach then fish and chips and ice cream at the little cafe next to the pier. I can heartily recommend the Lemon Meringue Ice Cream. We found plenty of shells but little of Caitlin’s current passion, sea glass. There are bags of shells all over the house now and we need to decide what we’re going to do with them! Still, despite only finding one or two tiny pieces of green glass, a double ice cream made up for any disappointment.